The Access for All campaign is attracting wide support from many different people and organisations but where is it you can go for advice and support? Previous columns have highlighted simple steps all of us can take to make any business, service or even our own interactions with people more inclusive. In this article I will highlight where you can get additional information, advice and support around inclusive communication. This will not be an exhaustive list because there are many individuals and organisations who can give excellent advice and support depending on the type of question that you have. However, I will give you some general signposts this week. Zoe has previously highlighted the support of Sottish Disability Equality Forum (SDEF) to Access Panels right across the country. So of course, Access Panels themselves are a great source of advice and support, given that they are made up of people within our communities who may experience access challenges. There is also Scottish Accessible Information Forum (SAIF: http://www.saifscotland.org.uk/), supported by an advisory forum of volunteers who can draw on their own lived experience of communication and information needs, which offers advice and guidance to anyone with questions about accessible information. In a previous column I highlighted the six Principles of Inclusive Communication. They are embedded within an information and self-assessment tool for public authorities (http://www.gov.scot/Resource/Doc/357865/0120931.pdf). The six principles themselves remind us to be flexible in the way we provide a service (indeed any interaction) and to keep trying if we don’t quite get it right to begin with. All of this suggests that possibly the most obvious and valuable source of advice and support are people with communication support needs themselves, because they can tell you exactly how best to communicate with them and how best to present information. People with communication support needs were also centrally involved a number of years ago in producing the Talk for Scotland toolkit (http://www.communicationforumscotland.org.uk/2010/TK_Home.php). This is a practical toolkit for decision-makers and service providers, offering key advice on how to engage with people and help remove barriers that individuals with communication support needs may face in achieving equal access to services and decision-making processes. It includes advice about attitudes and approaches, training materials as well as access to many practical templates for use in a wide variety of situations. 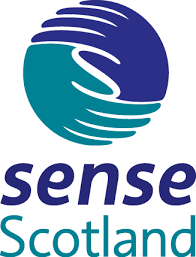 There are also resources on the website of Sense Scotland’s Partners in Communication programme (http://www.partnersincommunication.info/). Again, this programme learned directly from people with communication support needs about making communication more inclusive. The website includes resources on consultation and evaluation, establishing effective communication partnerships and how to listen to the voice of people with communication support needs, particularly those with more complex support needs. You can download a more comprehensive list of resources on inclusive communication from the Learning and Development section of this website. Finally, there are many organisations that can offer you advice in specialist areas such as hearing impairment, visual impairment, autism, learning difficulties, recovering from a stroke and dementia. Many of these are listed in the Partners in Communication resource guide highlighted above. And, of course, for specialist support and advice about any individual, you can also contact your local Speech and Language Therapy team. It would be great to hear about good practice examples from across our local communities and I would encourage you to share these with the newspaper or get in touch with the Partners in Communication team at pic@sensescotland.org.uk. In future columns I can say more about plans to establish a national Inclusive Communication Hub and some of our local good practice examples could be highlighted there.